Let’s face it, there’s not a lot that Nintendo does that fans don’t notice. When a new game is discussed, mentioned, or even hinted at, the fans are there. When Nintendo holds a conference, fans set their schedules to make sure they won’t miss a word. And when Nintendo so much as theorizes on a new business move, the fans are there to speculate and envision the possibilities. When Nintendo talks, people listen. So in 2003 fans were abuzz about a new Nintendo console planned for release in China. It was a bold move, attempting to be the first company to crack a market that was known for its rampant piracy. But Nintendo made it, establishing a new brand and releasing the iQue Player. Unfortunately many of Nintendo’s further plans never materialized. The console was never released in other regions, as Nintendo had hoped. 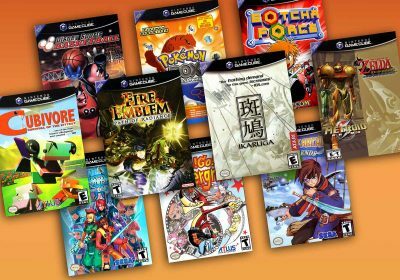 The games list remained small, only consisting of titles already released on older hardware. 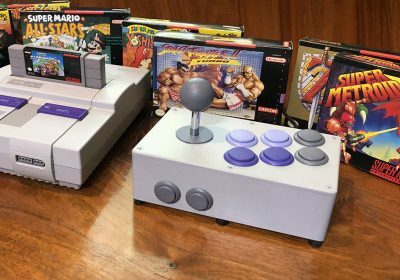 Sales were solid but inevitably petered out due to a combination of competition (from both Nintendo’s competitors and eventually Nintendo’s other releases) and lack of interest, at least in part because the machine was difficult to crack by the black market. While import websites like Play-Asia and Lik-Sang sold the iQue Player on release, their stocks eventually ran out. 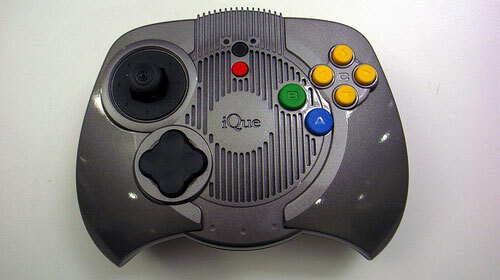 So the iQue Player inevitably disappeared into obscurity, especially outside of China, where it would from time to time resurface on a collectors’ forum or YouTube Channel, or appear for sale at inflated prices on eBay. In the interest of generating discussion about this obscure but important piece of Nintendo’s history in East Asia, here is the iQue Player 101. While wary of piracy in China, Nintendo created a joint venture with Chinese entrepreneur Wei Yen. The venture also allowed Nintendo to avoid heavy regulation from the Chinese government by using a Chinese company. Wei Yen had previously worked for Silicon Graphics, which helped develop the Nintendo 64’s graphics chip. He then formed ArtX, which was contracted to develop the graphics processor for the Gamecube. He also founded AiLive, which has worked with Nintendo on developing the Wii’s motion-sensing hardware. The plug-n-play format was chosen by Nintendo because it circumvents a Chinese law imposed in 2000 by the Ministry of Culture which bans the sale of video game consoles. The ban is not strictly enforced, and both Microsoft and Sony have released consoles there since the iQue Player’s release. The iQue Player (or iQue Shenyou) was released in China on November 17, 2003, for 598 Yuan, higher than the predicted 498 Yuan. New games were available for 48 Yuan at store kiosks called iQue Depots. Games were slowly released for it as late as June 1, 2006, but most titles had been released by late 2004. The iQue Player allows owners to purchase and download games to a flash card, which is then inserted into the controller to install the game. The controller is the console and plugs directly into the TV, similar to a plug-and-play device. 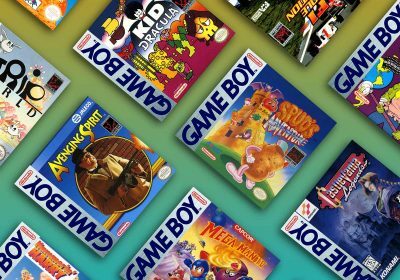 According to Lik-Sang.com, Nintendo originally had plans to release the console in other markets, but these appear to have been scrapped in favor of the Virtual Console. This marked Nintendo’s (and the major competition’s) first attempt at a major console release in China, a region which was previously ignored by video game console developers due to the high amount of piracy and legal entanglements. But this new focus on China revealed a growing interest in the rapidly increasing size of the Chinese economy. The move paved the way for Sony and Microsoft to release their consoles, with nearly disastrous results in some instances. The PS2 in particular was plagued by piracy from launch, but it helped build the Sony PlayStation brand in China. 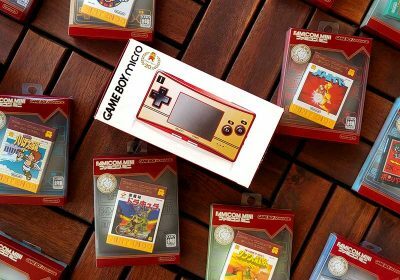 Nintendo has successfully continued to release handhelds in the Chinese market under the iQue brand. As the Chinese economy overtakes the size of the US economy, it will be interesting to watch how Nintendo will handle the market in the future. Despite the small game list, all games in the iQue Player were quality games. The list of released games includes Animal Crossing, Sin & Punishment, and Custom Robo. The controller has been redesigned to be similar to the Dreamcast controller. The iQue Player was released with Doctor Mario 64 as well as demos for The Legend of Zelda: Ocarina of Time, Super Mario 64, Star Fox 64, and Wave Race 64 already loaded onto the flash card. The flash card was limited to 250 blocks and rewritable, but it stored the download history of games, so previously purchased games could be redownloaded for free. The flash card also served as the unit’s memory card, meaning there was no need to worry about buying an extra peripheral to save game info. The iQue@Home allowed for the downloading of iQue games directly via any Internet connection and play them online, though the service was only in Chinese. As far as controls are concerned, the iQue Player is a Nintendo 64 controller with some added extras, so mods on normal Nintendo 64 controllers should work the same way. 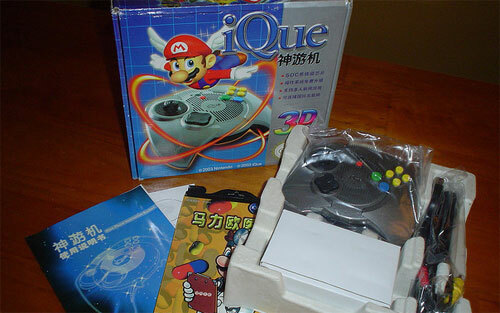 Only 14 games were ever released for the iQue Player, and they’re all only available in Chinese. All of these games have appeared on the Nintendo 64 in Japan, and the large majority were released in the US and Europe. To prevent piracy games had to be played off the flash card, which in turn had a unique digital signature which only works with a specific iQue Player. Finding games for the console outside of China can be extremely difficult, especially as download stations become less prevalent in China over time. The unit is single-player only unless the iQue Family Package is also purchased. The analog stick appears to be the same as the Nintendo 64’s, which means possible issues with longevity. There are no spaces for Nintendo 64 accessories, so the games can’t use the Rumble Pak, Expansion Pak, Memory Card, etc. The time sensitive demos only allow you to play for a certain number of hours before they are permanently locked. iQue@Home only works on iQue Players that have received the proper updates. Because download stations are practically nonexistent now, if you don’t have one that can do it, you probably never will. The unit was packaged with composite cables only, so unless you’re willing to mod it, you’re stuck with what you get. Because the games have to be transferred from the flash card to temp RAM, loading a game can take a little while. Pulling the card out while playing the game can cause the game to crash. The unit is also useless without the card and will refuse to boot if it isn’t plugged in. Because flash cards have a limited amount of space, only a limited number of games can be included. Certain games are also considerably larger than others, so a card can not contain both Sin & Punishment and The Legend of Zelda: Ocarina of Time at the same time. The iQue Player processor is an R-4300 64Bit CPU. It is based on the chip used for the Nintendo 64. The machine has 4 MB RAM. The iQue Player can display up to 2 million colors at a rate of 100,000 polygons per second. The iQue Player uses an operating system called UOS, which was to receive updates via the flash card from new game downloads at the iQue depots. The controller uses a 220V AC adapter for power. The flash cards used to store games were 64 MB. The machine is setup to work with NTSC region televisions. The iQue@Home service allowed for the downloading of iQue Player games from any computer with an Internet connection and communication with other iQue owners. This service was made accessible by purchasing the iQue USB Cable Upgrade. A USB-B/Mini cable should also work. The iQue Family Package included a 4-player multitap and an extra controller. When using the multitap, the iQue Player would plug into it, which would in turn plug into the TV. Three other controllers could plug into the multitap. A special paper voucher, the iQue Voucher, was used to pay for downloads from iQue depots in stores or on the iQue@Home service. While the games were downloads, manuals can be found for at least a few of the titles, in particular Dr. Mario. Considering that iQue games are Nintendo 64 games, emulation of Nintendo 64 games can be considered instead. There has been some success in modding the iQue Player cable to output in S-Video. The iQue Player has also been modded so that it will work as a standard Nintendo 64 controller. Funny, I stumbled across a page about this on the net recently. Thanks for the info about it – interesting read as usual. Wow, I had no idea these things ever existed. Pretty awesome piece of Nintendo history. Still have my N64 here, just need to get a power brick and games. Too bad it wasn’t released outside of China, it seems like a neat little console. 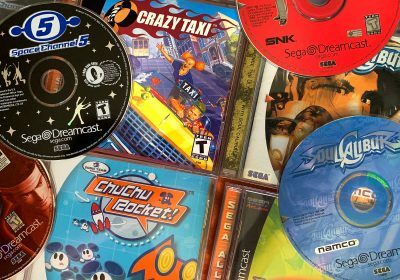 @SevinOseven: I was born in the US and now live in Slovenia, part of the former Yugoslavia, and in terms of retrogaming (from the PS2 on, it’s been console heavy like everywhere else), it’s all PC. I seriously got to watch somebody play Super Mario Brothers for the first time (“you can go down that pipe. Down, press down”)!!!! But I’ve seen them reminisce for hours over games like Duke Nuke ‘Em and Red Baron. And I have yet to find anyone who’s ever even heard of Final Fantasy, it’s like a black hole for JRPGs, even though they love Ultima and Wizardry. And I think that in both cases it’s because of piracy. I mean in the cassette-format era, radio stations would broadcast the code to games: you’d pop in a cassette, record what sounded like a half hour of static, pop it in your drive, and play a new game. That controller looks badass! You can stilol find alot of these on taobao. I’ve got an iQue Gameboy Advance SP! I can’t wait to go to Shanghai to get myself one of these. Does anybody know if it is easy to get ahold of video games in Shanghai? Is it expensive? @saunagamer Don’t know about Shanghai, but if you’re in Beijing then the streets around Gu Lou 鼓楼 are full of gaming shops, look for the character 电玩 (Dian Wan) in the sign above the door. Most shops only seel new school stuff though. There’s shop on 鼓楼西大街 Gu Lou Xi Da Jie (i think its Xi 西, or maybe it was Dong 东, either way they’re both close by) called 卡姆乐屋 Ka Mu Le Wu, which is the oldest video game store in China. They sometimes stock some retro stuff, and if they don’t have any iQue stuff it’s always worth going to look at the collection of old consoles on display, kinda like a museum (Neo Geo, Commodore, Atari 2600, other random stuff you wouldn’t expect to find as well). Another place I’m going to go check out this weekend in Beijing is 虹桥天乐玩具市场 Hong Qiao Tian Le Wan Ju Shi Chang, a tall building full of small shops that sell all kinds of toys. I heard it’s a good place to get famiclones and pirated NES carts, can’t wait! I leave for Beijing in late March. Gonna hit up every place you name dropped. I leave tomorrow morning. Eeek! @saunagamer Hey dude, haven’t been on this part of the site for a while so missed your comments. Hope you had a good time in Beijing and found some good gear. If you need any other advice on China stuff drop me a line! I’m also going to Shanghai within a few days, but is the iQue player still available ? Do I have to buy second-hand ones or is it still producted ? And finally, are there shops in shanghai that sell it, or saunagamer didn’t find any ’cause there wasn’t any ? Just curious: what part in particular needs to be updated most? I’m in the middle of updating a bunch of posts and I’m trying to prioritize the work. The most glaring is ‘iQue Shenyou’ – shényóu (神游) is iQue’s name in Chinese. The console’s Chinese name is shényóu jī (神游机). The ‘added extras’ are more like an entire N64 motherboard crammed in, making controller mods significantly more difficult. ‘Finding games outside of China’ – the download kiosks were only ever (as far as I know) in China, and iQue@Home is the same anywhere. The time-locked demos can now be reset using homebrew software. The operating system can be updated with a second, USB-compatible, iQue Player. Not only is the system useless without the card, the card contains the operating system. It’s like trying to boot a PC without a hard drive in. The CPU runs at 1.5x the speed as the N64’s CPU, and the system has about 8MB of RAM. Not only that, because of *reasons*, RAM access is about 3x as fast as the N64. The operating system isn’t called UOS – that simply stands for ‘updateable operating system’. The iQue Menu, which is actually called SA (probably ‘system app’), isn’t even the operating system. The secure kernel is the actual operating system, and it isn’t updateable, as its hash is stored in the iQue Player’s equivalent of OTP. The *console, not controller* takes 5V DC as input. 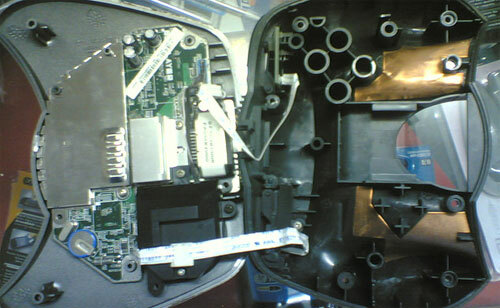 A modern USB power supply can be repurposed for use outside of China. The link for more info on the iQue Card is down. The iQue Tickets (not vouchers) were plastic. Manuals exist for every iQue Player game except 动物森林 (Animal Forest (Animal Crossing)) and 罪与罚-地球的继承者- (Sin and Punishment). There are often two or more versions, earlier and later. The manuals are treated as games; they are N64 ROMs (like all the iQue Player games) that display a still image, more or less. iQue Player games are often quite different to their N64 counterparts. Luckily, the ROMs are now available, having been decrypted a few months ago. The win32 console program was actually to write to a card simulator, not the card itself. (Link is also dead.) 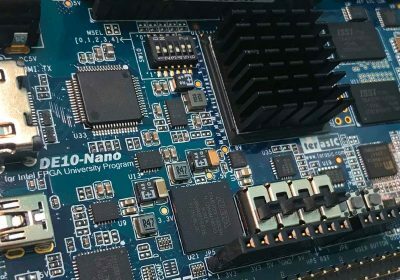 There is actually an official win32 program to write to the card, as well as an unofficial linux program to read from it. There might be other stuff as well, but I didn’t immediately notice it. Check out iQueBrew (.org) for more information and specifics. I will try to update the document to reflect all this in the near future! Actually, I should add to that: calling it the ‘Nintendo iQue Player’ is like calling Google Search the Alphabet Google Search (bad example); iQue is a company, which was not a subsidiary of Nintendo at the time of the iQue Player’s release. 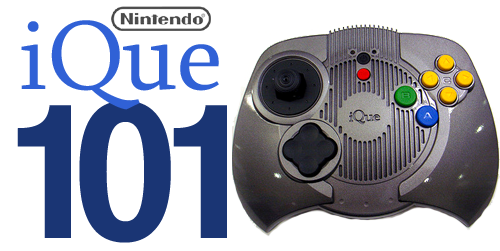 Nintendo did not release the iQue Player, iQue did. Technically, iQue Player isn’t even its name: it’s the Player, which was released by iQue. can games like mqrio party be on the ique if hacked? Method isn’t finalised yet. Do you want to watch a video on how to set up a Windows XP VM? There are a couple of videos demonstrating consoles that have been hacked if you look carefully on YouTube.